Vitamin Manufacturer & Complementary Medicine Manufacturer. 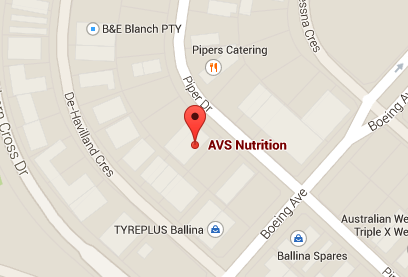 AVS Nutrition is located in the Ballina industrial estate, just 2 minutes from the Ballina Airport with daily flights to and from Melbourne and Sydney. We are situated a 2 hour drive south of Brisbane, right next to the beautiful Byron Bay. Contact hours 9:00am to 4:00pm Monday to Friday or by appointment. Please complete your details to enquire now.